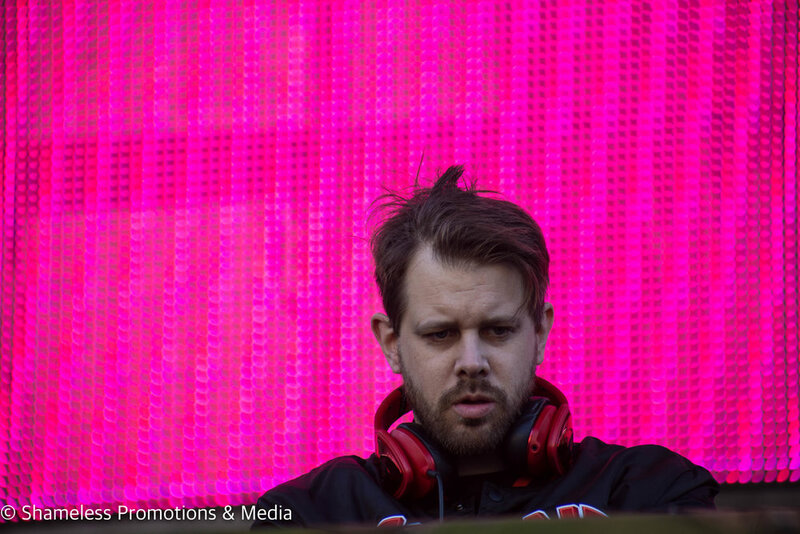 There is a uniqueness about the Mad Decent Block Party; gone are the massive facades upon which DJs stand above the crowds of thousands, with only the head and potential neck of said DJ being visible from the GA pit. 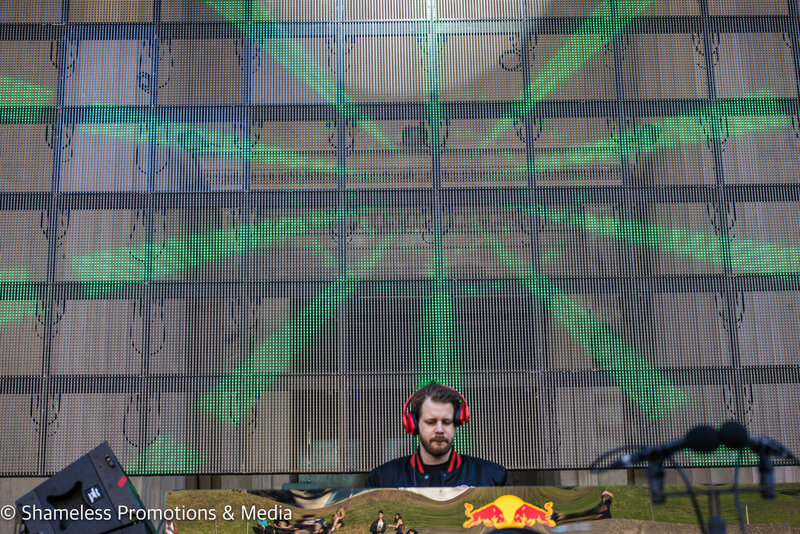 Instead, the DJ decks are at level with the crowd, and the theatrics are rather minimal this time around. 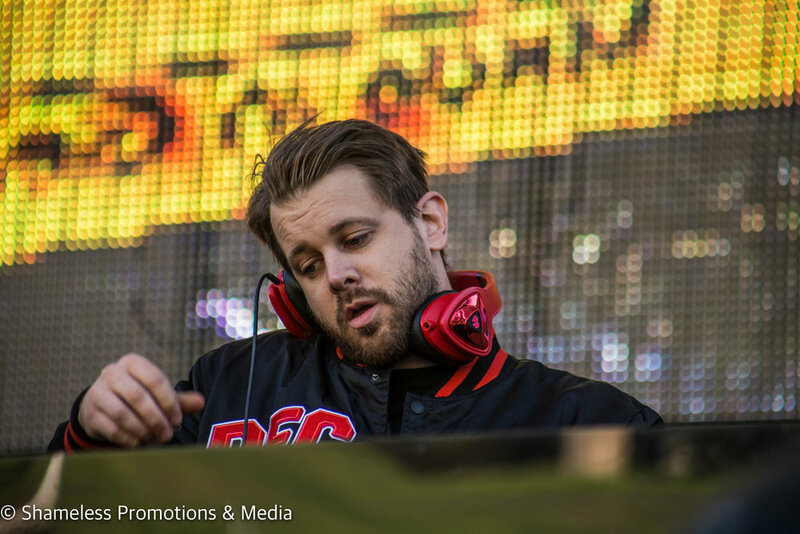 There is a unity between performer and producer that is present here, as well as a variety of electronic compositions here that are far more comprehensive than most prominent electronic spotlights. 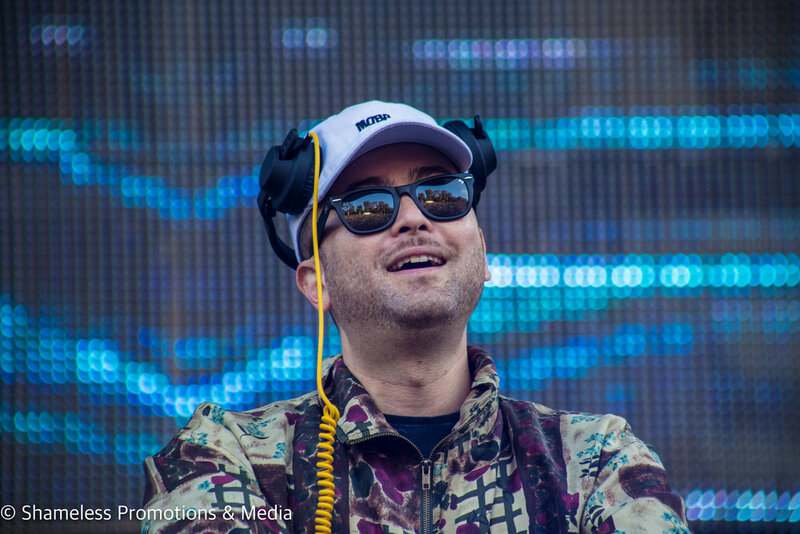 The Mad Decent Block Party stopped in Berkeley, CA at The Greek Theatre on September 10, bringing with it a vast array of producers to provide a lively evening of electronic music. With the sun still shining, up-and-comers Neo Fresco and Paul Devro took the stage one after the other. 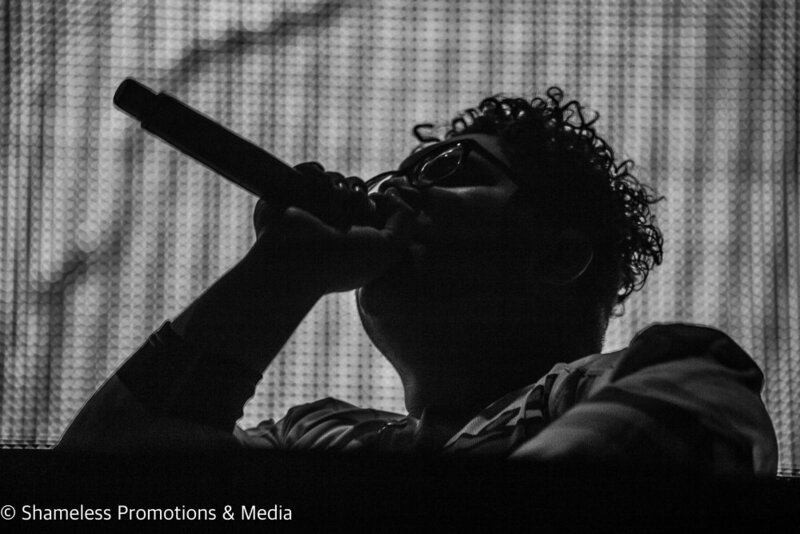 Fresco performed a thirty minute opening set, while Devro followed with a forty-five minute set. 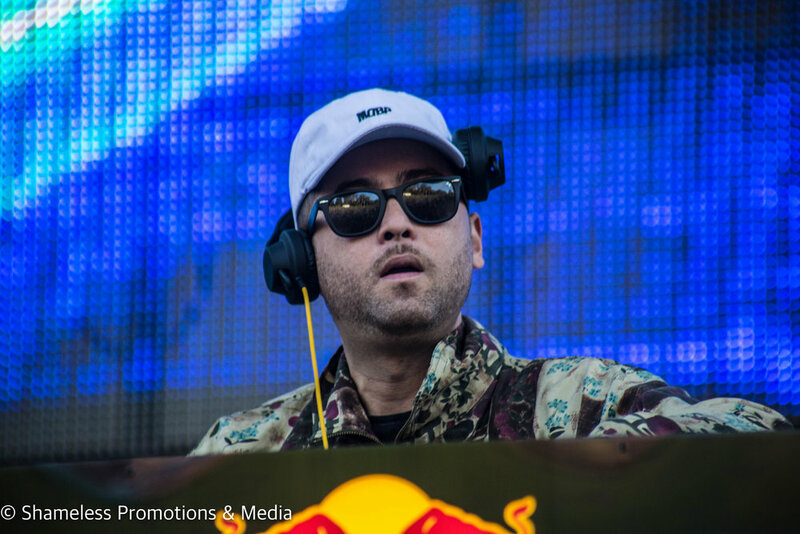 Grandtheft, a producer/DJ from Toronto, Canada, started to kick things up a notch. 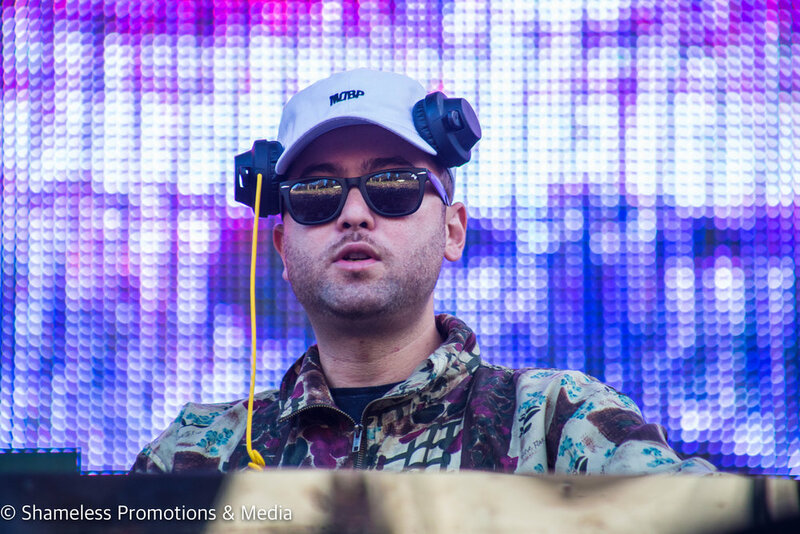 When Grandtheft took the stage, there was a noticeable change in crowd energy: it started to feel like the show was going to beyond a cluster of DJ sets, and further into festival territory. He brought the energy up just enough, but not quite. It was only an inkling of what was to come. The vibe throughout the amphitheater shifted once again, but not in the direction I had anticipated it would. 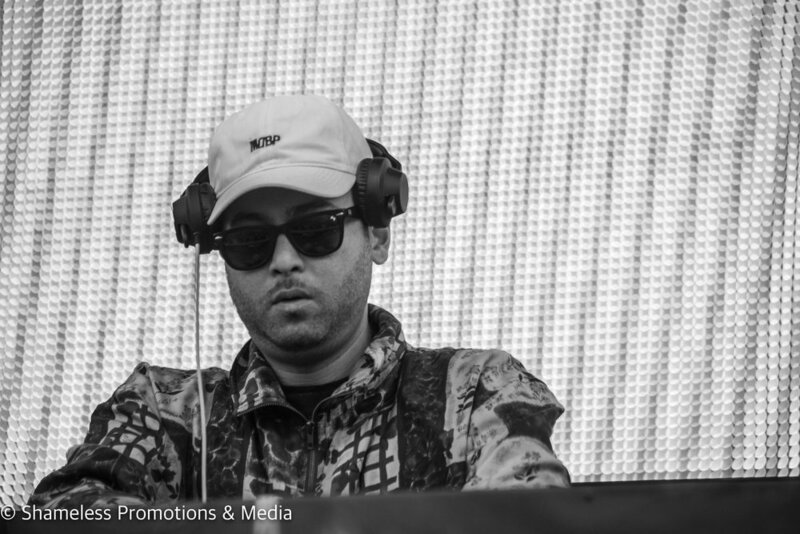 Producer Jai Wolf provides a much calmer tone with the music he beckons to the stage, more along the lines of the “pretty music” style popularized by producer Porter Robinson. 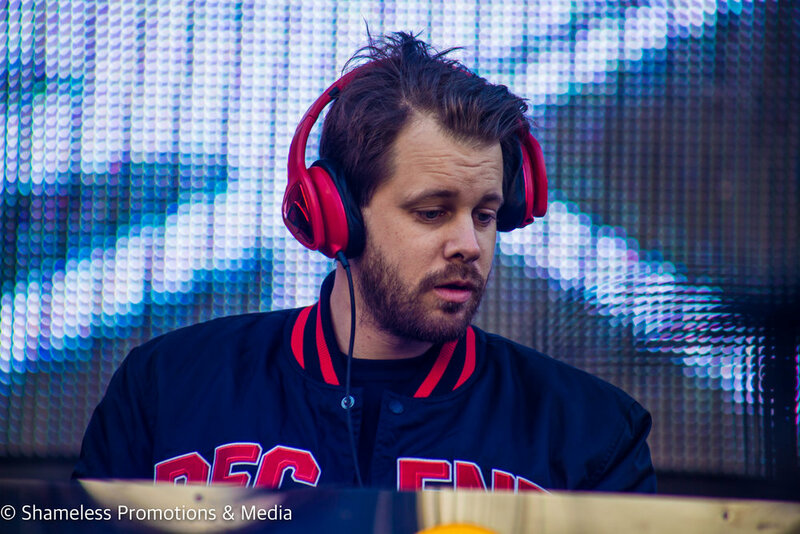 It’s fun to listen to, and it was not what I would have expected to come next in a show lineup that was about to feature the likes of artists like Dillon Francis and Tiesto, the former being known to harvest ballistic amounts of energetic tracks. 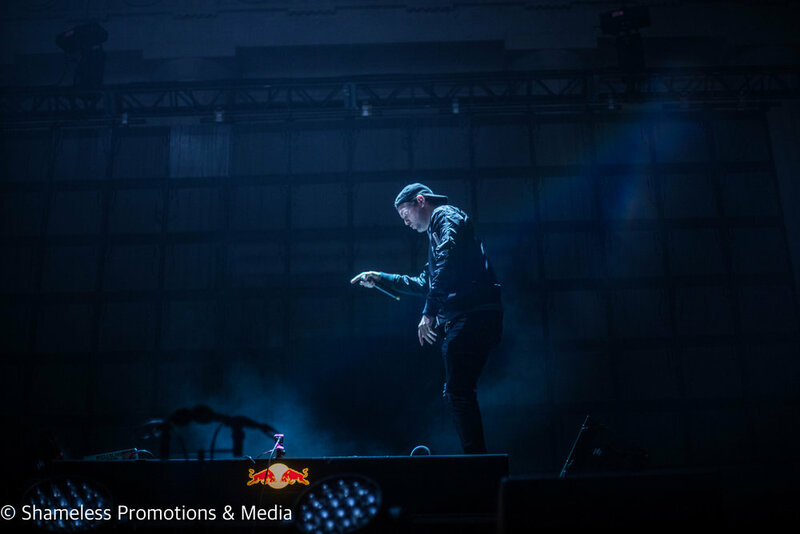 Wolf’s style evidently won over the crowd, and it showed how eclectic and open the fans were to hearing a wider range of music rather than the usual festival hits. 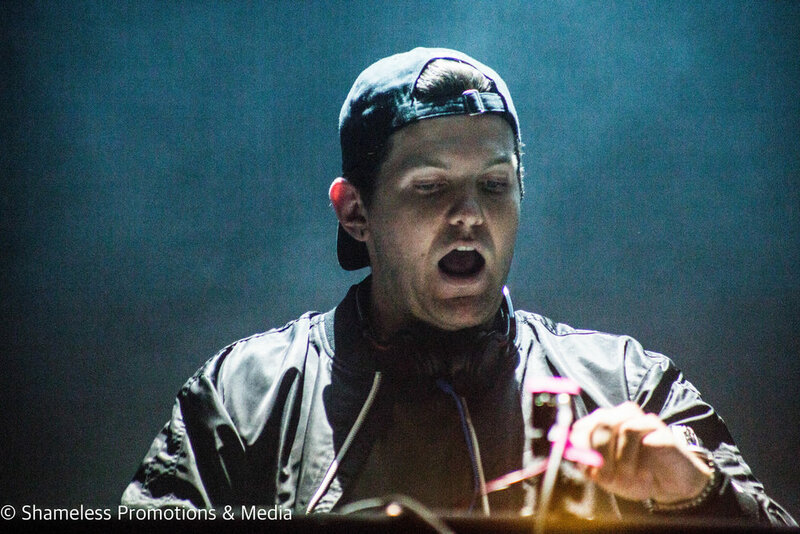 And of course: Dillon Francis dominated once again. It’s almost pointless to put the words through a word processor or down on paper because at this point, we know how crazy his shows are and how well he can construct a DJ set. 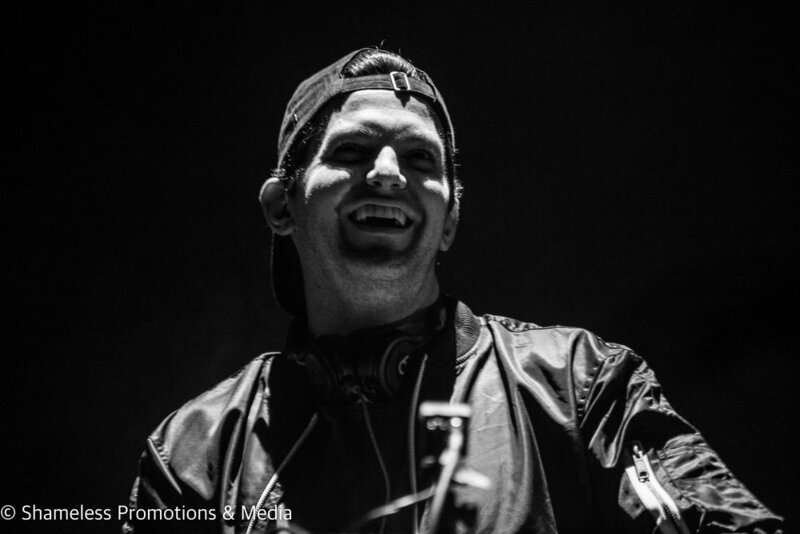 But, if you’re new to the party, have no fear: Dillon Francis is one of those DJs that, no matter what kind of venue you see him in, you are going to have a ridiculously fun time. 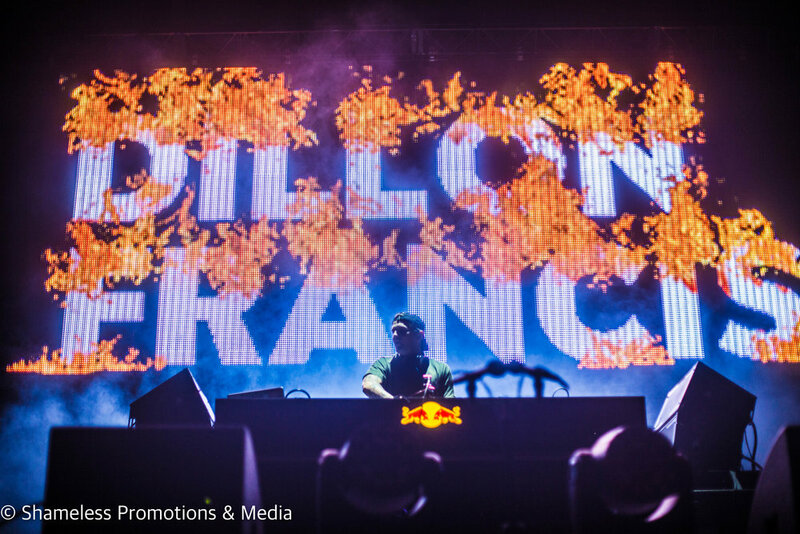 He manages to weave in a plethora of popular EDM genres, all while maintaining his identity and style throughout a mix. It’s a hard feat to pull off, and it’s one that I feel Francis has perfected. 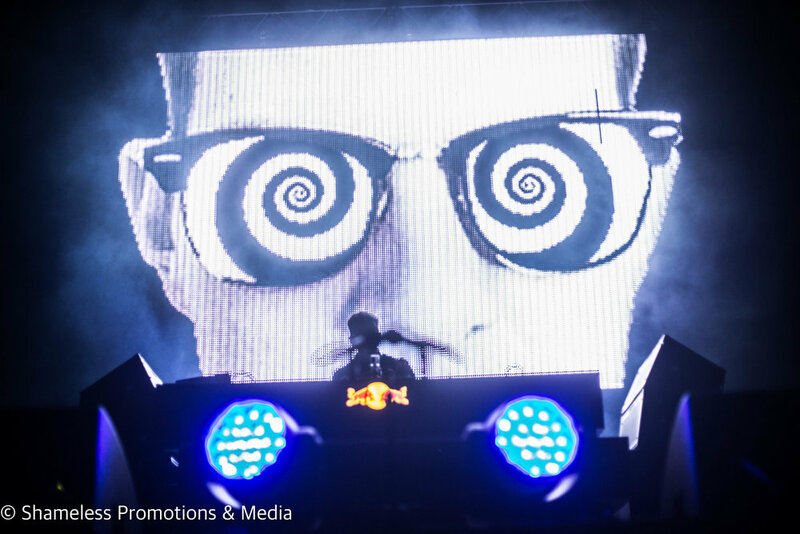 His alter ego, DJ Hanzel (i.e., Francis putting on sunglasses and speaking in a German accent about his love of deep house music) even made a surprise appearance during the last five minutes of his set. The stage techs pulled the DJ decks closer to the front of the stage just five minutes before the house legend, Tiesto, took the stage and delivered one of the most enjoyable mixes of the evening. 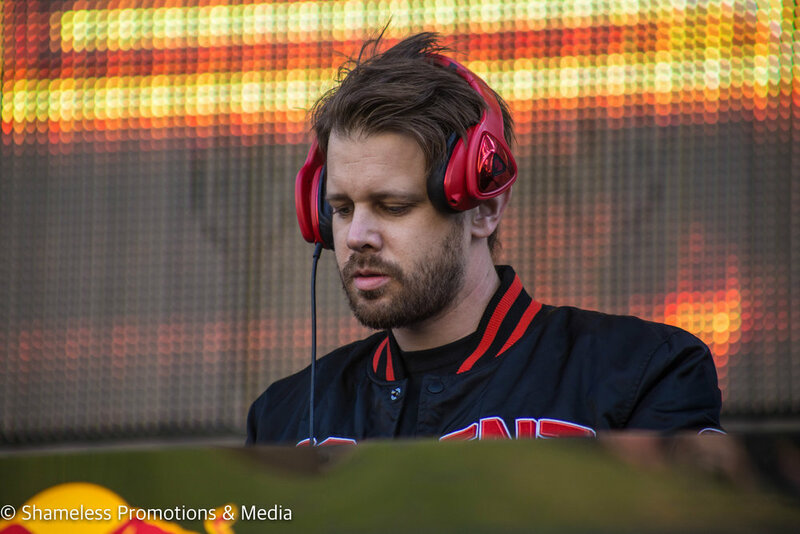 I was rather surprised that he played second to last rather than taking the coveted headlining spot, but this was due to a prior engagement with his Las Vegas club residency, where he would be playing in just a couple hours after his MDBP set. 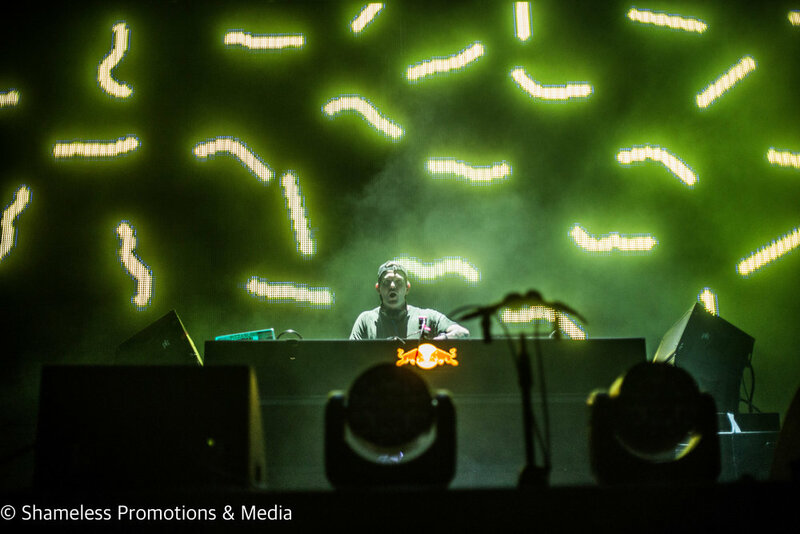 Regardless of the time constraint, Tiesto sincerely gave an engaging, gratifying performance, filled with both the hits and a variety of new track selections. 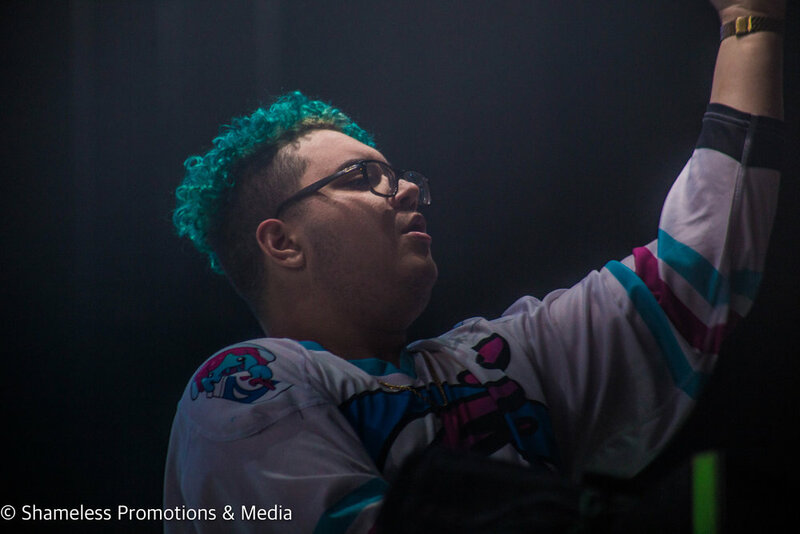 Slushii was an artist that I had only heard about through his name appearing on show lineups that circulated the Internet. I had never heard a single track of his music or mixing style, so I was rather baffled when I saw that he took the headlining slot for the Berkeley show. 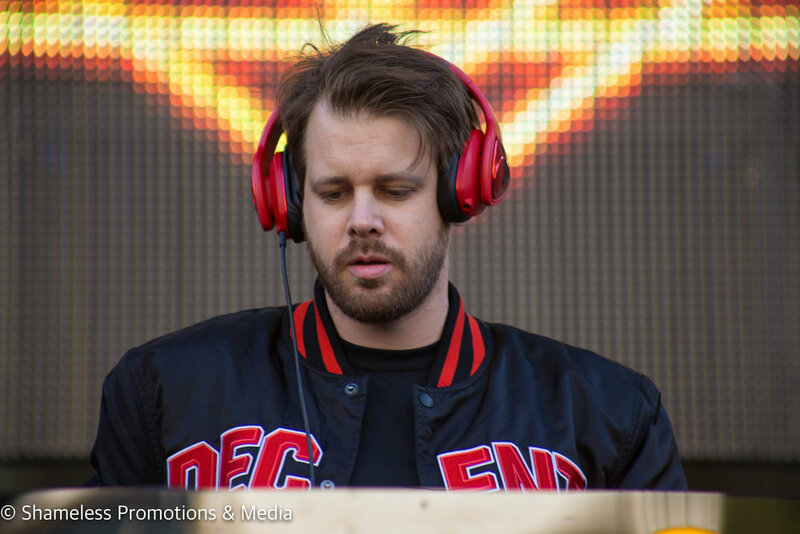 Upon seeing his performance, it was incredibly evident to me that he would have no problem headlining any other date of the Mad Decent Block Party Tour, should that be the case. He’s a dude that genuinely enjoys performing for people, and you could see it on his face the entire time. There’s absolutely no denying it. 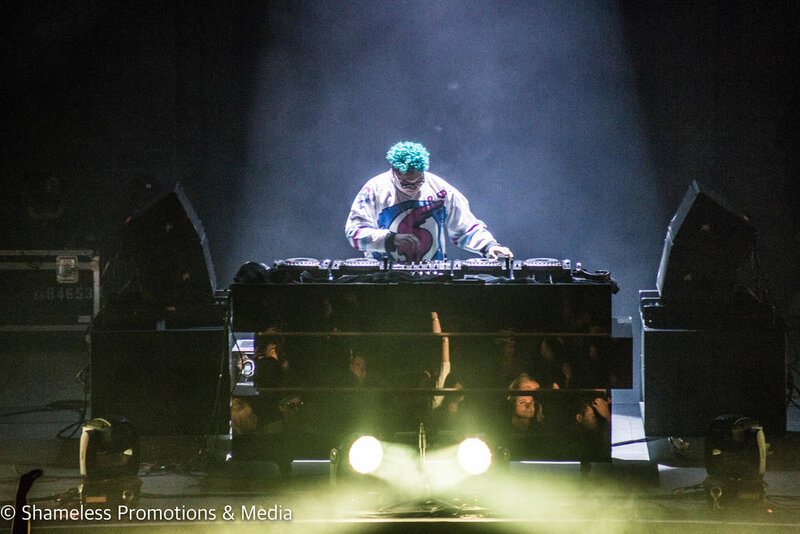 His mixing style is fast-paced and energetic, very similar to an artist like Dillon Francis, but Slushii’s is based more around dubstep and bass (although he featured quite an eclectic mix of electronic genres throughout his set.) 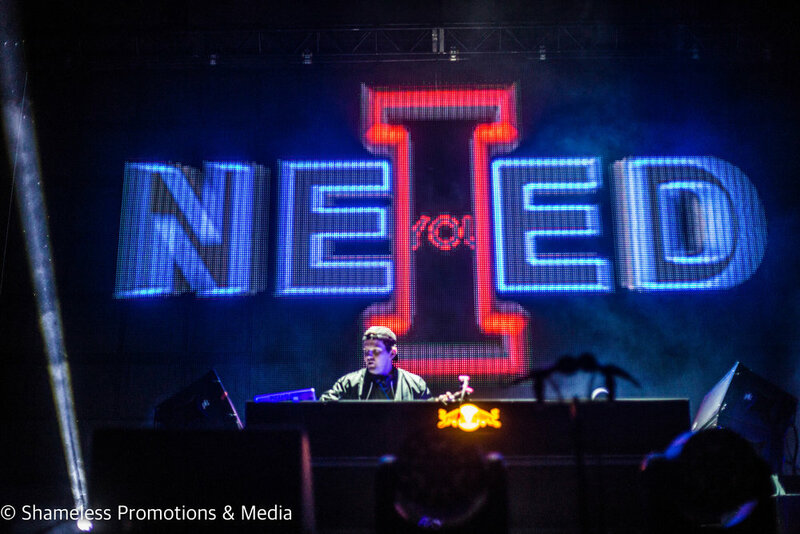 Dubstep/bass were the foundation of his mix, with a massive array of influences sprinkled all about. 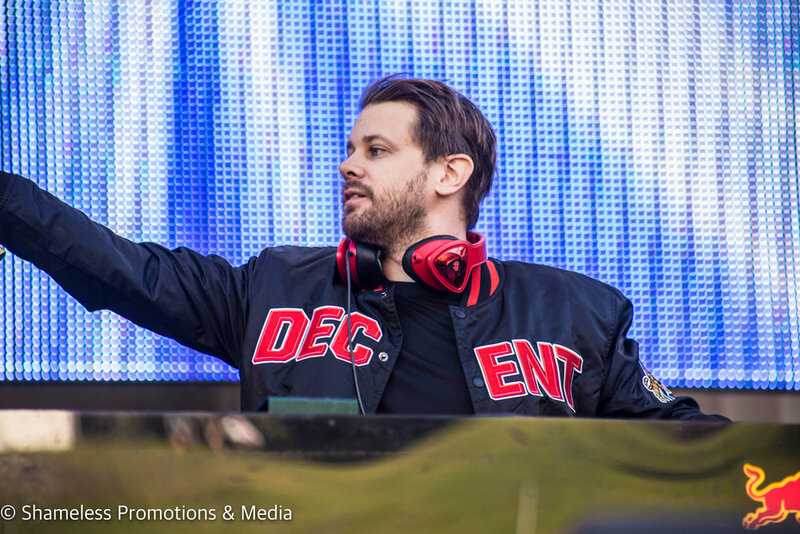 Mad Decent Block Party, whether present or future, is a tour not to be missed. 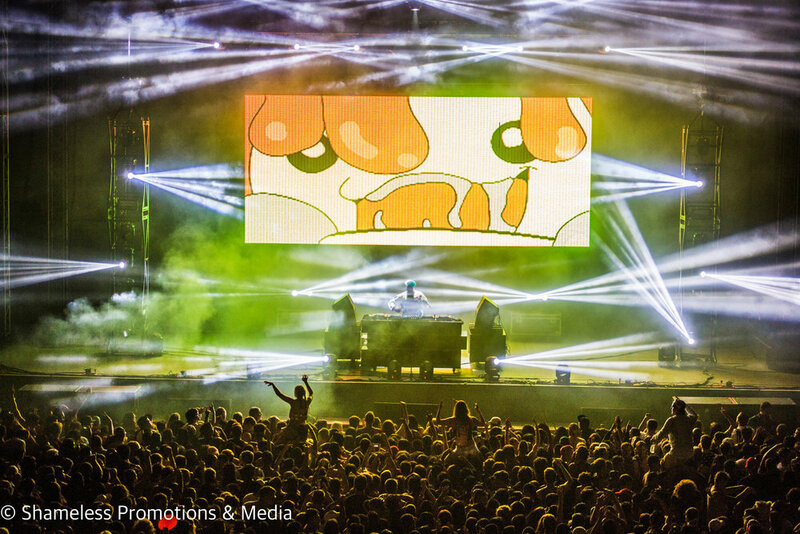 It brings an unbelievably unique atmosphere to larger venues, and it does wonders in bringing producers (both at the forefront of the electronic world or ones just entering this universe) and fans alike together.